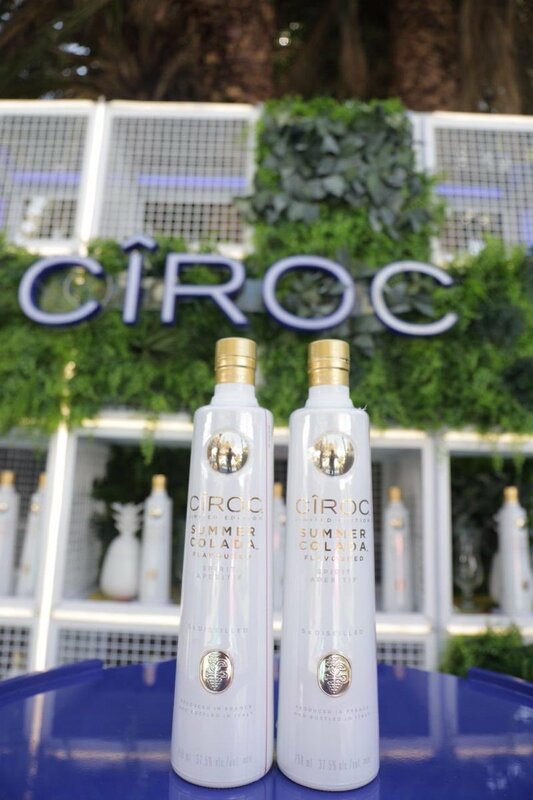 Joburg’s premier business hotel, The Maslow, saw a mix of top media and social influencers mingling the afternoon away at the pool deck for the exclusive launch of CÎROC’s newest addition to the successful flavour portfolio, the limited edition Summer Colada. This daytime affair, decked out in white and gold, was the epitome of all things summer and brought to life the feeling of summer luxury. “We take pride in our range of flavours, and always ensure that we produce a luxury product that meets our customers’ expectations. It was great to share the afternoon with some of Joburg’s finest personalities exploring our newest flavour innovation and indulging in delicious summer colada cocktails” – Suleni Pather, Cîroc Senior Brand Manager. All guests were dressed to the nines and included celebrities and influencers such as Melody Molale, K Naomi, Kamo Modisakeng and Nhlanhla Mchunu. They explored various mouth-watering Summer Colada cocktails specially prepared by Diageo’s reserve brand ambassador Reggie Mthembu, while club and radio DJ Doowap kept the atmosphere alive with her tropical, lounge vibe. Cîroc Summer Colada is a new variant available to consumers this summer. It is a rich tasting spirit made with vodka distilled five times from fine French grapes. The spirit is masterfully infused with a distinctive blend of coconut, pineapple & other natural flavours, resulting in a taste experience that iis lusciouslydifferent & elegantly smooth, enjoy on the rocks or mixed in your favourite Summer cocktail. Cîroc Summer Colada has aromas of fresh pineapple abounding with a touch of coconut cream taste, layered with juicy pineapple & coconut cream notes in the mid-palette, with a fruity tropical note that carries into the long smooth finish.